Little Rock In a brilliant essay in the New York Times “Stone” series on philosophy, the moderator and a professor at the New School, Simon Critchley, decided to spit in the wind on Easter Sunday of all days, the miraculous day of hope for Christians taking the giant and glorious leap of faith in believing in the resurrection of Christ, the son of God, being raised from the dead so that we might have eternal life. 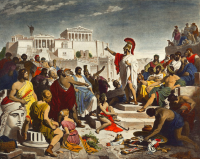 Rather than going toe to toe with the Christians, he summarized the classic Melian Debate, reported by perhaps our first historian, Thucydides, which was a staple for many years of ACORN’s annual one-week long, introductory “new” organizer training sessions, and a touchstone for many community organizing networks. We had first appropriated the Melian Debate into a training role play, after Madeline Talbott, our field director at the time, monitored some sessions done by the Gamaliel Foundation with Greg Galuzzo and his team in Chicago, and adapted it annually thereafter to the joy and sometimes chagrin on each new crop of promising community organizers. 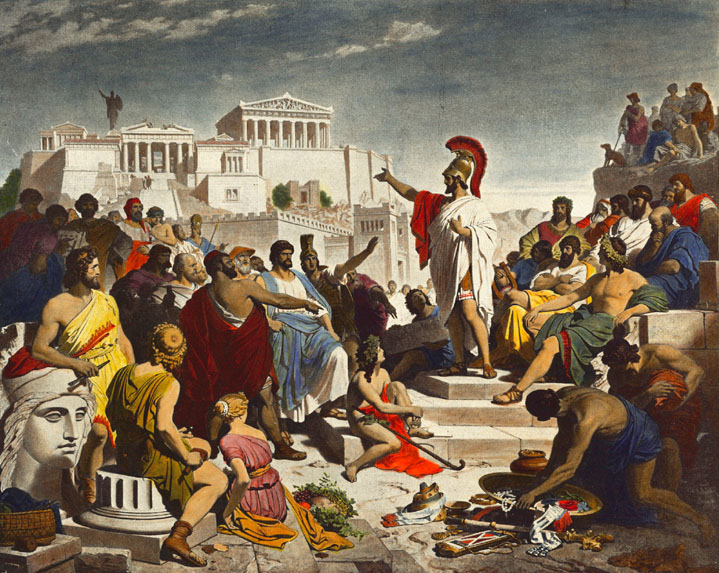 In “The History of the Peloponnesian War,” Thucydides, the sober and unsentimental historian, describes a dialogue between the representatives of the island of Melos in the Aegean Sea, which was allied with Sparta, and some ambassadors from invading Athenian military forces. The ambassadors present the Melians with a very simple choice: Submit to us or be destroyed. Rather than simply submit, the Melians wriggle. They express hope that the Spartans will come to rescue them. The Athenians calmly point out that it would be an extremely dangerous mission for the Spartans to undertake and highly unlikely to happen. Also, they add, rightly, “We are masters of the sea.” The Spartans had formidable land forces, but were no match for the Athenian navy. What we need in the face of a hard factuality is not hope, but courage in the face of that reality. And, as Critchley, so aptly states, almost as if acting as a trainer in our long ago summer sessions, “Thucydides offers no moral commentary on the Melian Dialogue. He does not tell us how to react, but instead impartially presents us with a real situation. The dialogue is an argument from power about the nature of power.” We would leave our organizers to work out their own response to the Melian Debate as they played their roles in the exercise with enthusiasm, and I leave you to work out your answers to this age old debate about how to face hard reality with the best mixture of will, courage, and, yes, even some hope. This entry was posted in ACORN, Community Organizing and tagged Gamaliel Foundation, Melian Debate, Simon Critchley, Thucydides by Wade. Bookmark the permalink.